Jo qualified as a Chartered Physiotherapist from Notttingham School of Physiotherapy in 1979. She worked for the NHS in a large teaching hospital in Nottingham and a school for children with physical disabilities. Locally, she has worked as a team leader at a district general hospital and a GP practice. 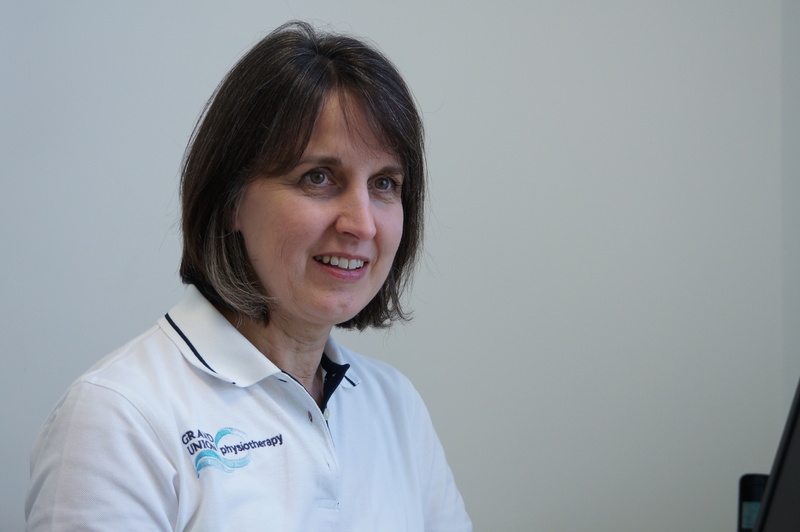 Jo is a specialist Women’s Health physiotherapist, with a special interest in bladder and bowel continence, prolapse and pelvic floor pain and dysfunction. She qualified as a full member of the Association of Chartered Physiotherapists in Women’s Health in 1985 and has worked exclusively in Women’s Health physiotherapy since 1994. Jo is also an ante and post natal exercise instructor. Jo understands the embarrassment often associated with these conditions, and has a discreet and sensitive approach. She enjoys being able to help women regain their confidence to return to activities they have avoided because of worries about leakage or discomfort. She is a firm believer in guiding women to understand the changes in their bodies, whether this is from pregnancy and childbirth or those associated with just getting older, and thus enabling them to gain relief from their symptoms.